With their sold out North American tour now in full swing and a highly successful week at SXSW in Austin, TX under their belts, UK trioLondon Grammar have officially released their critically acclaimed debut album ‘IF YOU WAIT’ (U.S Edition) today in North America onColumbia Records. The album is now available on iTunes (http://smarturl.it/IfYouWaitDeluxe) and in all good record stores across North America, andfeatures two previously unreleased bonus tracks, “Maybe” and “High Life,” as well as an exclusive new remix of “Strong” by the acclaimed Emile Haynie – see full track listing and remaining tour dates below. 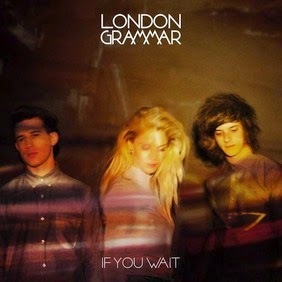 London Grammar has undoubtedly become one of the most exciting debuts of the past year. Having already achieved international success, the band - comprised of guitarist Dan Rothman, multi-instrumentalist Dot Major and vocalist Hannah Reid – released their debut album ‘IF YOU WAIT’ in late 2013 and have since been certified PLATINUM in the U.K., and GOLD in France, Germany and Australia.